Battlefield 3 has extra pre-order content | Something Odd! As seen here, in the Community Press Room, here in various other places this morning. 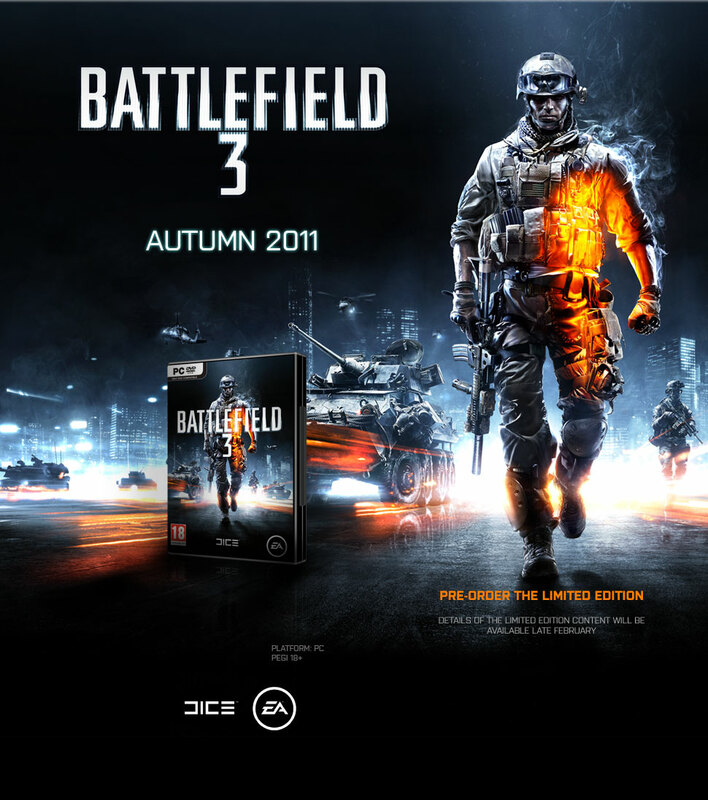 The Battlefield 3 Limited Edition includes pack Battlefield 3: Back To Karkand at no extra charge*. This themed expansion pack features four legendary maps from Battlefield 2 boldly reimagined with Frostbite 2 physics, destruction and visuals. Completing the package are classic Battlefield 2 weapons and vehicles, unique rewards, new achievements/trophies and more. So, either that was a smart marketing ploy by EA and the modified filename was leaked by someone there or this was a lucky guess. It’s not confirmed yet and there’s plenty of time to pre-order your copy. I should probably ask, “Who isn’t pre-ordering Battlefield 3?” rather than the opposite! Every report of this “find” says “someone” found it, not naming who so I presume it was an EA leak. Likely they just put the media/copy in place in preparation for revealing the info. It’ll depend on how much the “limited edition” costs. What console are you getting BC3 on? I’m pretty sure I’ll get it on both Xbox and PS3! Is there some different between them? New and yes. I doubt there will be a difference but I want to play with you, David, Mike and everyone on PS3 as well as Paul, TheFingersHurt and others on Xbox. Oh yeah, I’m a rich fecker, money pouring out everywhere… I wish! Next PostNext Bravo 2 Company FTW!